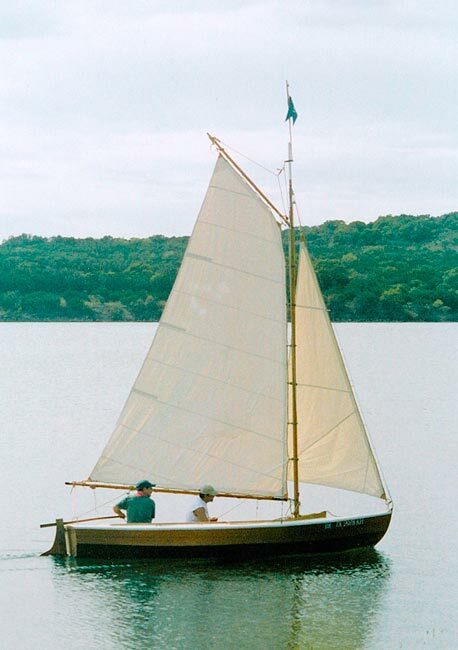 Jim Earl modified Edwin Monk's plans for this Curlew sloop by giving it a gaff rig, instead of Marconi, and carvel planking, instead of lapstrake. He found the design in Monk's book "How to Build Wooden Boats, (Dover Pub, 1992). Jim started on Lilly in 2001, and with assistance from his father, finished her in 2005. Planking is Spanish cedar over white oak frames.